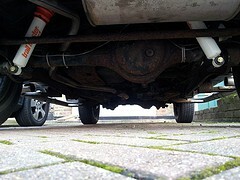 Having previously fitted a front adjustable panhard rod I got around to starting fitting the rear today. 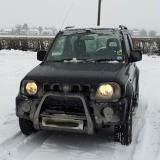 I have just made up some prototype parts that will enable you to fit SJ manual hubs to your Jimny, overcoming the issues with the Vacuum hubs. This kit will shortly be available to purchase in the shop. In the meantim, here is the guide so that you can start planning the fitting. I found these wireless winch remote kit on Ebay from a company called "Winch-It", they seem to have a collection of reasonably priced accessories.